HMS Prize (Lieutenant Commander William Edward Sanders VC DSO RNR) a topsail schooner commissioned by the Royal Navy as a Q-ship is again on patrol, this time with an escorting British submarine, D8, which remains submerged and only makes contact with Prize at night under cover of darkness. During the previous day Prize twice sights a German periscope, but the submarine does not surface. The commander of the submarine, UB48, having checked the Prize’s course and speed, waits until the moon rises and stalks her for a torpedo attack. At 01:30 this morning, the escorting British submarine sees Prize blow up in the Irish Sea and is unable to find any survivors among her crew of twenty-seven. The schooner had been captured from the Germans in 1914 in the English Channel and subsequently sold only to be hired in 1917. It was originally the Else, and renamed on capture the ‘First Prize’. The motor fishing yawl Jane S pulls in its nets which contain a mine which then explodes killing Skipper Andrew Henderson age 53 and his two sons Engine Driver Alexander Henderson age 27 and Boat Hand Andrew Henderson age 27. Two other crew men are killed including Second Hand Thomas Boyter age 55 as the Jane sinks. His son Private Alexander Boyter was killed by a shell burst in May of last year. Two brothers are killed when SS Thames (Master John Gatenby Carling, age 51) goes missing. She departed Middlesbrough for Fecamp with a cargo of pig iron today and nothing more is heard of her and she is posted as missing/untraced on 21st November 1917. It is later discovered that she was sunk with all hands by gunnery from the German submarine UC-63. 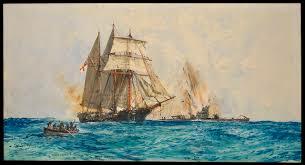 Of her crew of twelve brothers Cook Arthur Brew Rosser is lost at age 24 as his brother Mate Benjamin is 26. Lady Atkin the wife of Justice James Richard Atkin loses both her son and her brother on the same day at the crossing of the Steenbeck. Lieutenant Richard Walter Atkin (Royal Field Artillery) is killed at age 20 while Lieutenant Maurice Hemmant (Rifle Brigade) is killed at age 28. Captain Stephen Gordon Harbord MC (Royal Field Artillery) is killed in action at age 27. He is the son of the Reverend Harry Harbord. Lieutenant William Buckworth (Rifle Brigade) is killed at age 40. His brother was killed in May 1915 on Gallipoli. Second Lieutenant Thomas Robert Grosvenor (London Regiment) is killed in action at age 27. He is the son of the Reverend Frederick L Grosvenor. Lance Corporal William Robert Burnell (Rifle Brigade) is killed in action at age 35. He is the middle of three brothers who are killed in the war. Private Michael Cooper MM (Irish Regiment) dies of wounds received in action. He is a keen hurler and football player with the Taghmon GAA Club and his brother was killed in May 1915. Private Lawrence Barnes (Newfoundland Regiment) is killed. His brother will be killed in April next year. Signaller Peter Mowat (British Columbia Regiment) is killed on Hill 70. His brother will die of wounds in October 1918. Private Michael MM (Manitoba Regiment) is killed at age 20. His brother will be killed in August 1918.